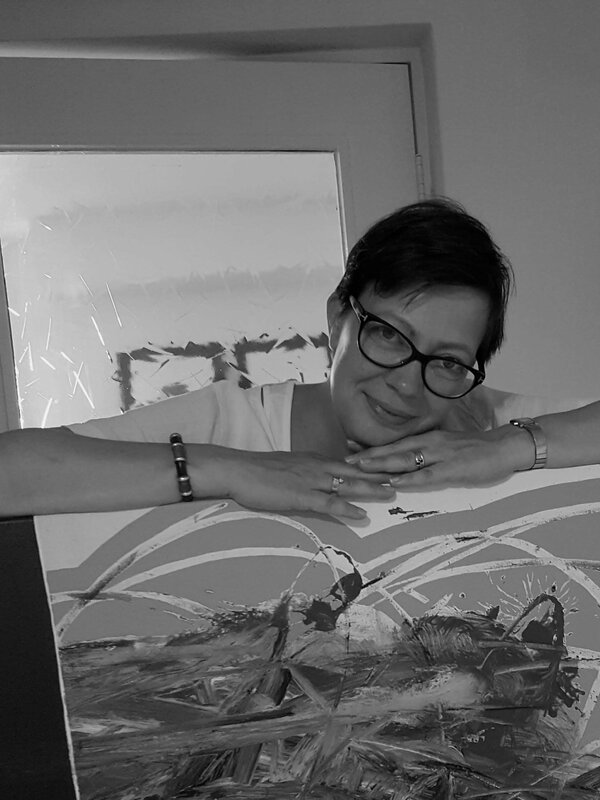 My name is Marieke Severens and I have a background in the cultural world, having studied Arts and Cultural management at the Erasmus University in Rotterdam and having worked between 1995 and 1997 at the Noordbrabants Museum and The Rijksmuseum. Afterwards, I left the cultural sector and spent a number of years in large companies, moved to Barcelona in 2002 and about 10 years ago, still living in Spain, I started wondering again why so few young people have artworks in their lives. The trigger was that at that time in Barcelona there were many galleries, but almost no affordable art available and even less so from local artists, so I decided to look at approaching it in another way. I started an investigation, together with a friend art dealer into the possibility of setting up an art rental company (which is similar to the Kunst uitleen model you see a lot in the Netherlands). Together with students of EADA Business School Barcelona we developed the model and did surveys in galleries and on the street. With all the results, the outcome was that Barcelona didn’t actually have the right business and cultural climate to start an art rental company, so I decided to focus only on selling art, instead of rental. Finally, PontArte was launched in December 2013 in Alella, close to Barcelona, with a pop up event at the studio of Enrique Satué, a well-known Spanish graphic designer. Then in august 2015 we moved from Barcelona to Maastricht and obviously I took my portfolio of artists with me. Starting up in the Netherlands. Or maybe more importantly, in the Euroregio, mainly trying to increase the visibility for my portfolio of artists. PontArte is still a very young gallery, so like in the case of any startup venture, there is still a lot of room to experiment with commercial formats, publicity, events, and so on. From participating in art fairs, presentations on online art platforms and working with cultural institutions and other galleries, I have also found here a lot of interested people that start to look at art as something to form part of their lives. My achievement is that I don’t operate a traditional gallery but work with a mix of offline and online presence combined with a very customer oriented approach. This coming month of September I open a new space in the Kapoenstraat; it will be a brick and mortar gallery space in the city centre of Maastricht. I am really looking forward to having a space where there is room for artists to show their work and for me a fixed space to work from (no pop up events, not so many fairs) and on a daily basis create visibility and interest for many artists. Start with a very flexible model. Try to keep your costs down at the beginning and look to other start up companies. The cultural sector is very different from other sectors, but there are also points in common you can benefit from. Also I would like to recommend to talk to a lot of people in order to get useful inputs from very different angles and to be patient. For me, working with artists and selling artwork is a long term business. It takes time to build up a client base, it takes time to have a good working relation with an artist, it takes time for people to decide to buy something, or even to start collecting art. The challenges for cultural entrepreneurs are mainly with the shift in attention from people. Our “digital” world is dominating a lot of what we see and hear and everything and everybody is very visible, but much is also very much mainstream and to a large extent aimed at instant gratification. For cultural companies that work with lesser known and emerging artists it is a challenge to explain to the “internet generation” that there is a lot more of value in an artwork created by an unknown artist than just following the hypes of Instagram art and creating a digital folder of likes. We as galleries have the responsibility to let people see that fast and easy in the eye is not the only way to look at the world. You can also take the time to learn what artists are telling you by enjoying their work, slowing down and follow your own instincts, away from the mainstream and hyped artworks. That’s also the most gratifying part of the work: to see that someone really falls in love with a piece of art and truly enjoys having it around.